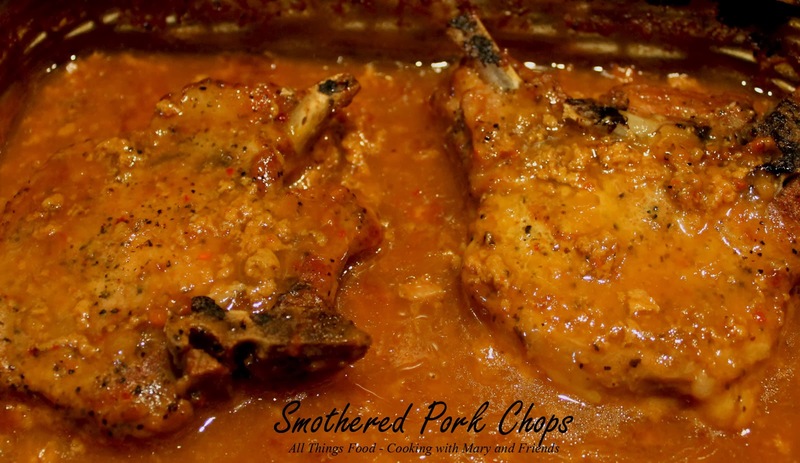 We love pork chops here, but only when they are either cooked on the grill and are tender and juicy, deep fried, or slow cooked and smothered. Many times we have had pork chops that are dry, tough and tasteless. Why is that? They definitely shouldn't be, but they are. Then we tried some pasture-raised pork from our local farm, Sunny Cedars Farm, and what a difference! Tender, moist, juicy ... just as we remembered pork should be. Delicious! Recipe adapted from Sweet Tea and Cornbread. In a bowl, whisk together the cream of mushroom soup mix and water or milk. Place pork chops in a slow cooker sprayed with cooking spray, or a large baking dish (if using the oven). Sprinkle chops with Italian dressing mix and cover all with cream of mushroom soup mix (following directions above). Cover and cook in a slow cooker on low 6-8 hours, or in a baking dish covered tightly with foil in a 250 oven 4 hours. Falling off the bone tender! Very yummy with mashed potatoes.